Preston moved seven points clear in the automatic promotion places in League One with a home win over Rochdale. The visitors started brightly at Deepdale and had a goal ruled out for offside after Rhys Bennett headed home Ian Henderson's flick-on. 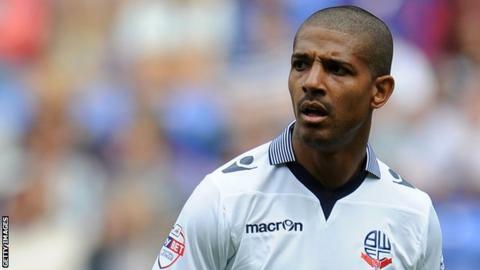 After Preston winger Callum Robinson shot straight at the goalkeeper when one-on-one, Jermaine Beckford's smart turn and low shot put the hosts ahead. Henderson wasted a free header six yards out as Dale pressed to level. Dale full-back Andy Cannon's cross was turned onto the post, while Joe Garner nearly doubled Preston's lead at the other end with a stooping header. Simon Grayson's North End side are now unbeaten in their last 12 league games and have closed the gap on leaders Bristol City to eight points. Rochdale remain seventh and are four points off the play-off places, but do have a game in hand on sixth-placed Chesterfield. Match ends, Preston North End 1, Rochdale 0. Second Half ends, Preston North End 1, Rochdale 0. Corner, Preston North End. Conceded by Josh Lillis. Attempt saved. Scott Laird (Preston North End) left footed shot from outside the box is saved in the top left corner. Corner, Preston North End. Conceded by Andrew Cannon. Joe Garner (Preston North End) wins a free kick on the left wing. Foul by Febian Brandy (Rochdale). Corner, Preston North End. Conceded by Scott Tanser. Substitution, Preston North End. Andy Little replaces Callum Robinson. Corner, Preston North End. Conceded by Ashley Eastham. Substitution, Rochdale. Febian Brandy replaces Peter Vincenti. Attempt saved. Joe Garner (Preston North End) header from the centre of the box is saved in the bottom left corner. Corner, Preston North End. Conceded by Reuben Noble-Lazarus. Substitution, Rochdale. Calvin Andrew replaces Joe Bunney. Attempt blocked. Chris Humphrey (Preston North End) right footed shot from a difficult angle and long range on the right is blocked. Attempt missed. Joe Garner (Preston North End) header from the centre of the box is too high following a corner. Substitution, Rochdale. Reuben Noble-Lazarus replaces Bastien Héry. Substitution, Preston North End. Chris Humphrey replaces Jermaine Beckford. Attempt saved. Joe Bunney (Rochdale) header from the centre of the box is saved in the centre of the goal. Attempt missed. Joe Garner (Preston North End) header from the centre of the box is close, but misses to the right.